Greater Napanee mayor Gord Schermerhorn presided over his final council meeting on Tuesday as the current council met for the final time of their term. Though not originally scheduled as the final meeting, council voted to cancel the Nov. 27 meeting due to a lack of a agenda. 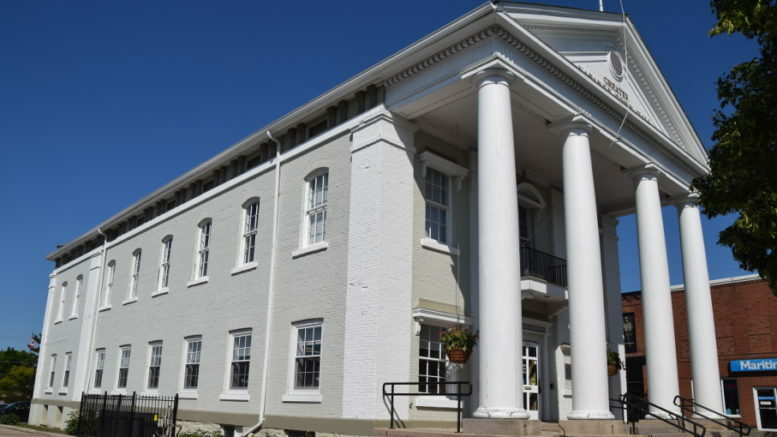 Fittingly one of Schermerhorn’s final acts as mayor was to oversee the approval of the official plan amendment and zoning by-law amendment for his former place of work, the Gibbard Furniture building. The approval officially re-zones 88 Dundas Street E to allow commercial and residential uses. -Being the last meeting of the current council, it was also a chance for the departing members to reflect on their time around the horseshoe. When council resumes in December it will feature five new faces with only current deputy mayor Marg Isbester, who graduates to mayor, and councillor Max Kaiser, who shifts to deputy mayor, returning. Cole went on to thank Schermerhorn, council and town staff for their support over the years. Lucas also offered a bit of advice for the incoming members, who were in the town hall audience. Ward 1 councillor Mike Schenk also offered a bit of parting wisdom to the incoming council. Schermerhorn closed out the meeting by reflecting on his 15 years in the mayor’s seat. The inaugural meeting for the next term of council, which will feature Isbester as mayor, is set for Dec. 4 at 7 p.m.